Rooms from $98.88 per night. 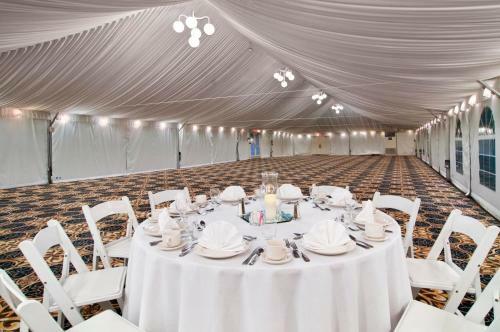 Offering free parking indoor and outdoor pools and scores of shopping and dining options nearby the Hilton Atlanta Perimeter Suites provides appealing amenities for our guests. The five-story all-suite Hilton features a sophisticated lobby with soaring ceilings where guests can enjoy complimentary Wi-Fi access. A full-service restaurant and lounge serves continental cuisine and cocktails and a lobby market is handy for picking up sundries and snacks. There is also a modern fitness room a hot tub and a well-equipped business center providing fax and copying services. Complimentary transportation is provided within a three-mile radius of the hotel. 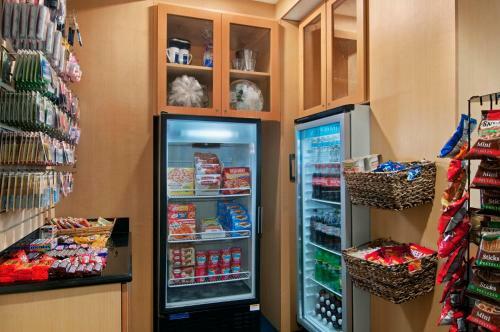 Standard amenities in 224 suites include separate living and sleeping areas two 32-inch flat-panel LCD TVs beds with pillowtop mattresses and high-thread-count linens gourmet coffeemakers and wet bars with microwaves and mini-fridges. Wi-Fi and wired high-speed internet access are available for an additional daily charge. Suites with jetted tubs can be requested. The Hilton is in a thriving corporate area just off I-285 and a mile from the upscale Perimeter Mall. The hotel is about 20 minutes north of downtown Atlanta. Buckhead the Georgia Aquarium and the Georgia Dome are all within easy reach by car and MARTA public transport. 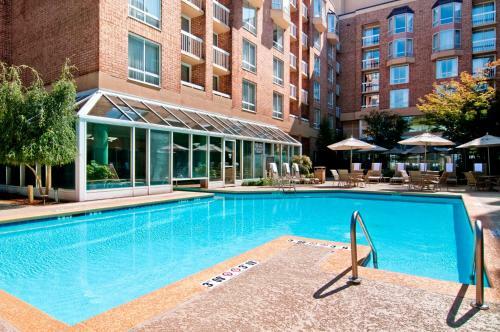 The Hilton is about 25 miles from Hartsfield Jackson International Airport. 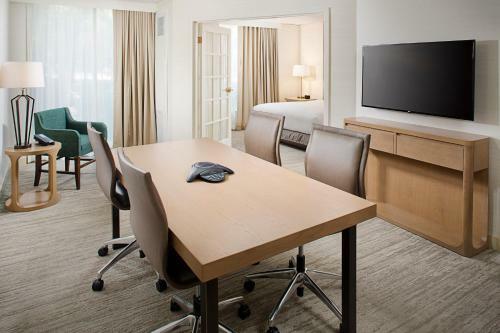 Add Hilton Atlanta Perimeter Suites to your free online travel itinerary.